Miller's extensive range of bathroom accessories have been thoughtfully designed to compliment all styles of bathroom from traditional to contemporary. This Atlanta Glass Shelf provides a perfect balance of design and practicality. 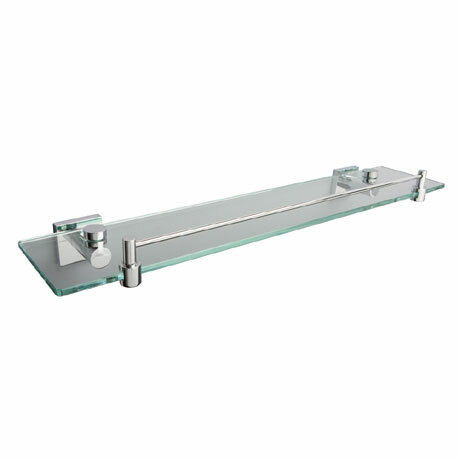 Manufactured from clear hardened glass and features a guard rail and full-fix 'anti-twist' fixing system this beautiful, chrome plated accessory is the perfect finishing touch to your bathroom.